How to Create a Lion Logo? The lion is the king of animals, a proud and beautiful animal, reflecting dignity and power. Often there are logos with images of this animal. It takes its roots in the distant past when this beast was a heraldic animal and depicted on the arms of famous families and clans. The symbolism of this logo is diverse. Two lions, coming towards each other, are called struggling, unconquered. The animal, which depicts the wing, embodies the courage and dynamics of movement. Various lions can be seen on the arms of many countries, for example, on the coat of arms of England. Widely used logo with the image of a lion in the crown of soccer teams and other sports companies. 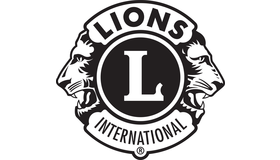 "The Lion goes from power to power" - the motto of the company's modern logo with the image of the animal standing on its hind legs on a blue quadrangular shield and casting a black shadow. This symbol was used in the logo of the car company Peugeot 200 years ago. This image represents the power and balance of long-term existence. The roaring head of a lion, enclosed in a circle of film, is the famous logo of the American company Metro-Goldwyn-Mayer (MGM). It can be seen before the beginning of many thousands of famous films. This image became, in fact, the logo of the whole Hollywood. The most often used colors are red, yellow (gold), purple and orange. How do I create a lion logo for my brand?